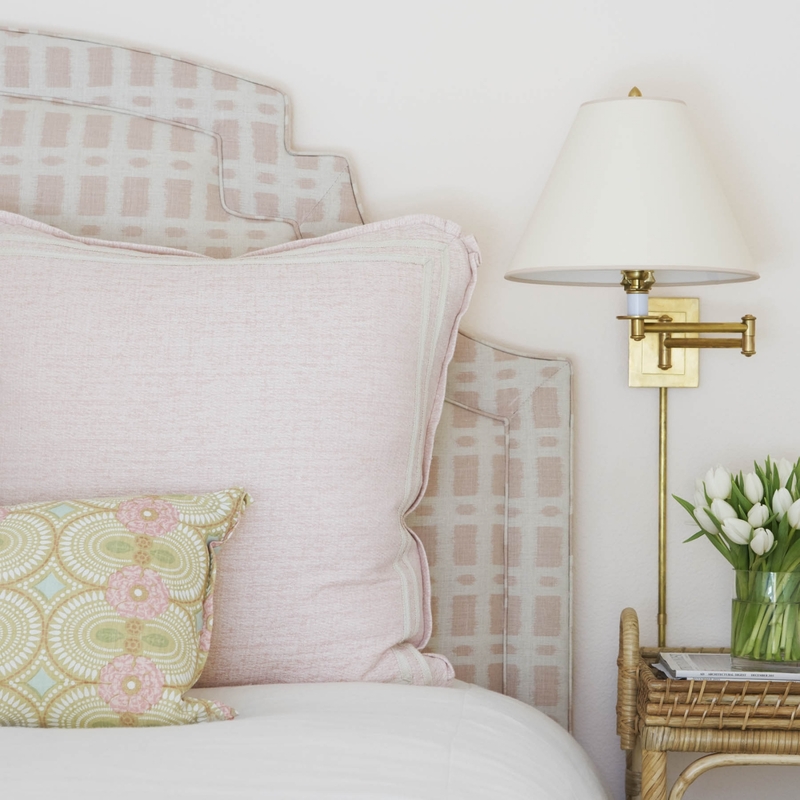 Her designs are calming, soft, and neutral – but never boring. 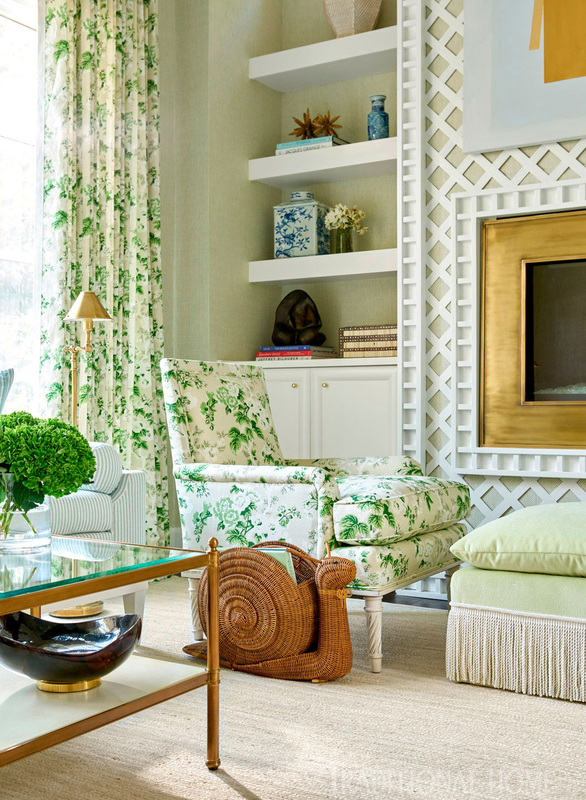 Her spaces are feminine, but not over the top – you could picture the husbands living happily in these spaces as well! Her use of pattern is judicious but highly effective. 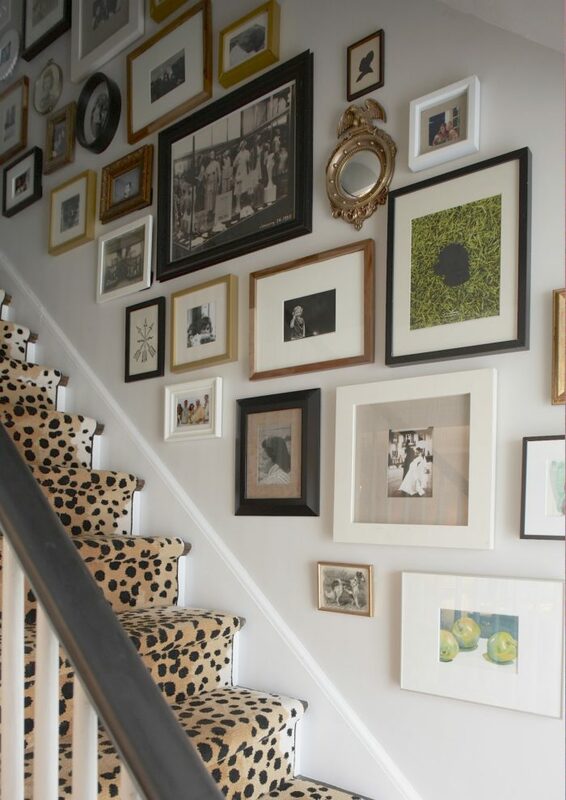 There are always one or two standouts in the room, whether it be the wallpaper, a killer piece of art, or a great modern light fixture. I think Amy has a particular talent for creating kids rooms that are as chic as adult rooms, but still feel appropriate for little ones. 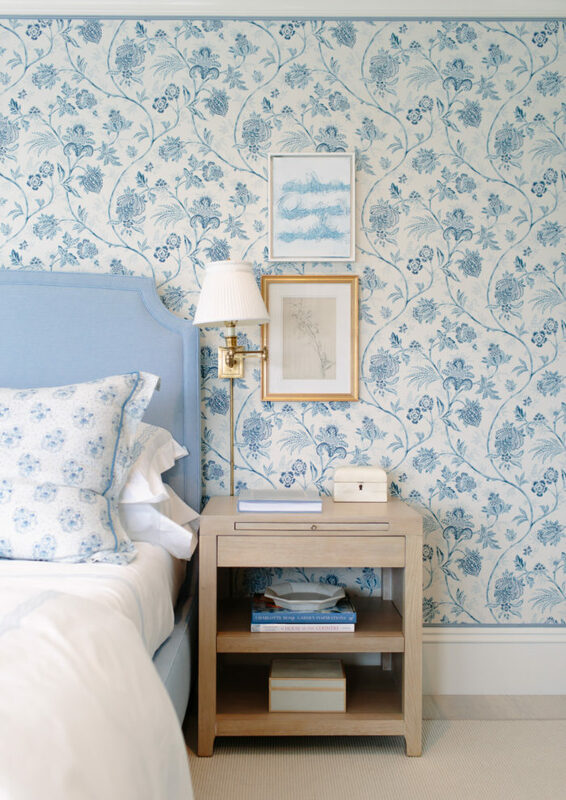 The one above is all about that wallpaper – can you even with that? 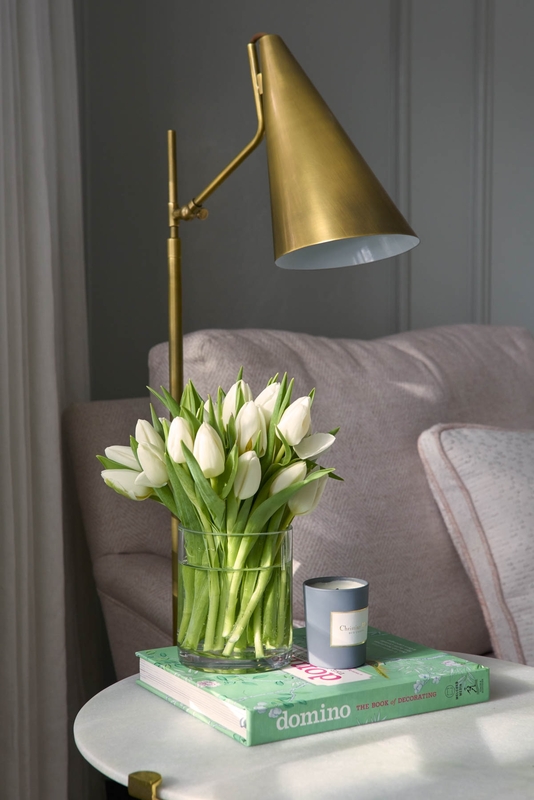 It’s so incredibly beautiful and simply makes the room – but the supporting players pair perfectly with it. The chairs are elegant, the little wooden table in between makes for a great contrast, and the crib is a cool modern counterpoint to the overall traditional look of the space. 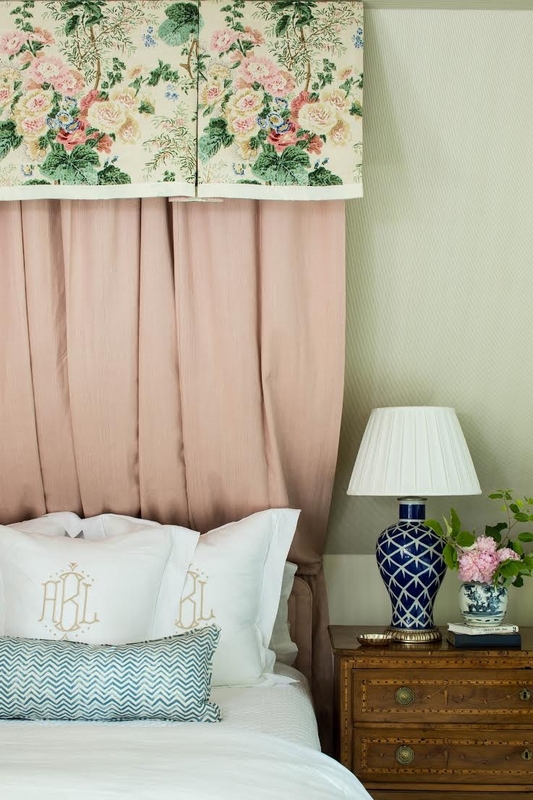 The window treatments, the canopy – it’s all just so elegant and luxe. The giraffe is pretty cute too! 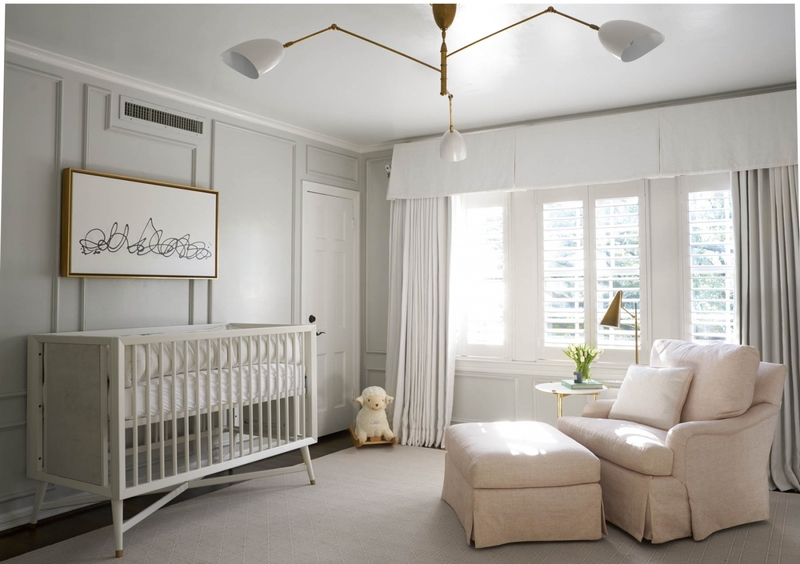 Another chic nursery. The standout to me here is that amazing modern art, which again serves as a perfect contrast to the traditional overall look. The pink chair and ottoman also stand out in that perfectly sophisticated shade of rose. 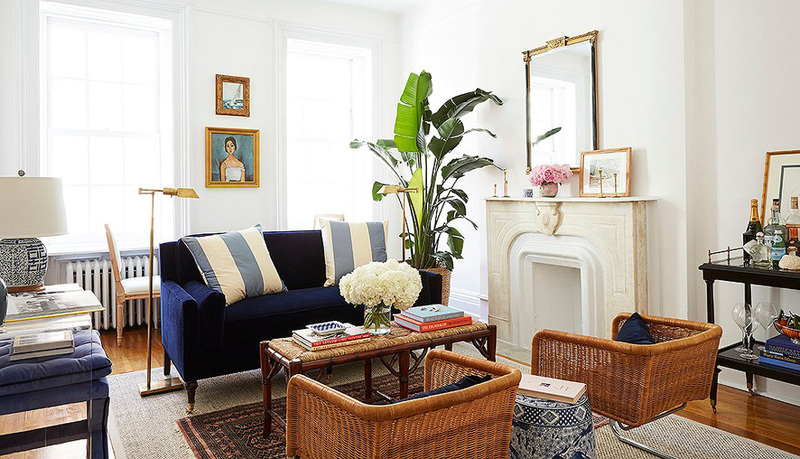 The rug and window treatments are neutral players that fade into the background, but they’re just the perfect choices for the space and clearly very high-quality. The modern light fixture and amazing architectural details don’t hurt either! Perfect details. 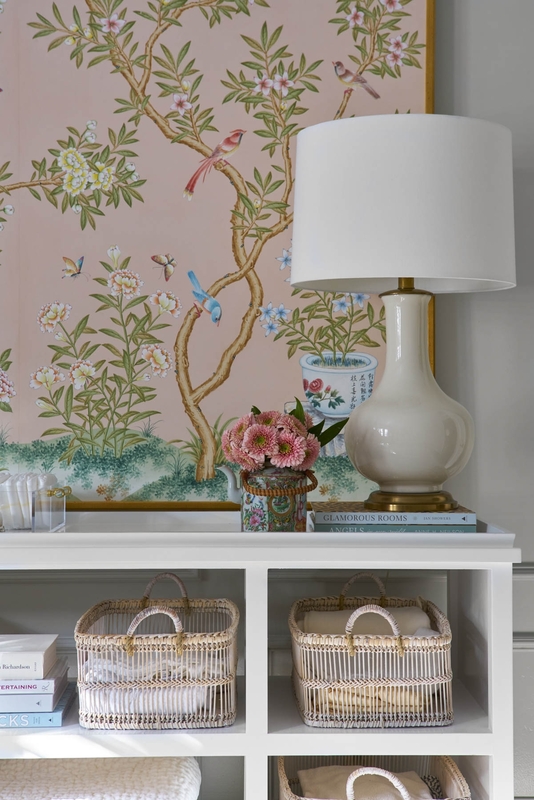 Framed wallpaper panels are quickly becoming one of my favorite things to see in a space – Paloma uses them a lot too. What I like about this space is that it feels like a great mix of neutrals with interesting details. 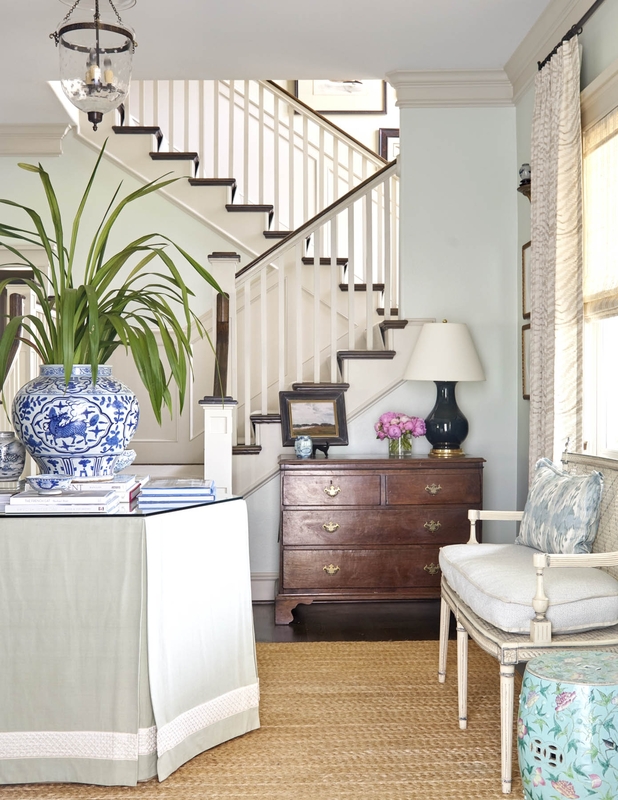 The pillow, vase, and garden stool add great touches of pattern. Amy keeps neutral from feeling boring by layering in those touches of pattern along with doses of texture (the sisal rug), and a keen eye for details (the trim on the table skirt, for example). I also love the dresser, which looks like antique and lends gravitas to the space. 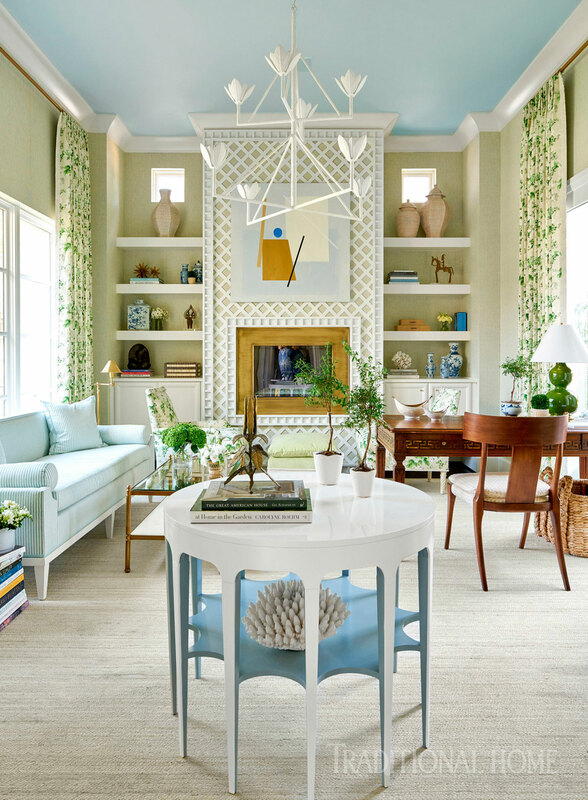 This is a space that Amy designed for the Dallas Decorators Showhouse, which I wish I could visit – Texas has some talented designers! I love so much here. The patterned drapes and slipper chairs, the desk which she cleverly arranged coming out from the wall (something designers often do and us civilians often don’t think of! ), the light fixture, and just the overall mix that feels energizing but still cohesive. When I saw the picture on the left on Amy’s Instagram, I just about died. How CUTE is that for a nursery?? 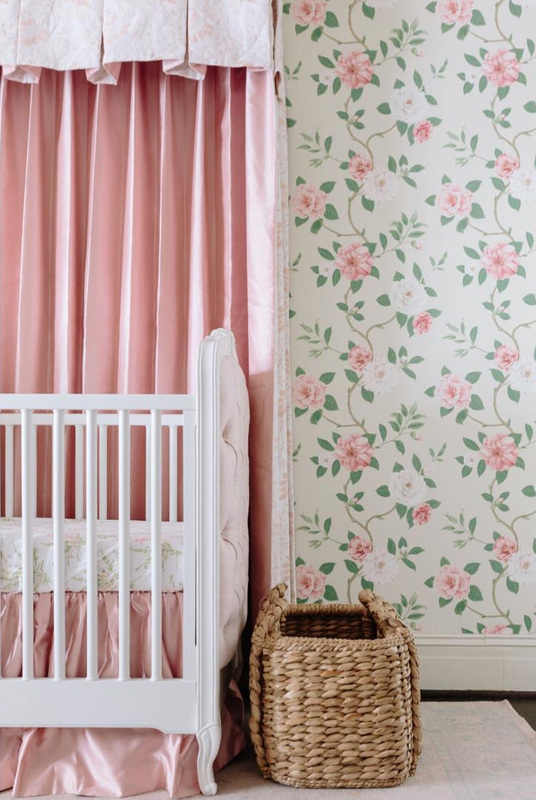 I love that wallpaper more than words can say and if you look closely you can see that the crib sheet is Biscuit Home’s Truvy, which I just ordered (as normal sheets, obviously haha), when they had a 30% off sale. Such a pretty floral – it reminds me of D. Porthault at a much more palatable price point. On the right the canopy is in another fabulous chintz. 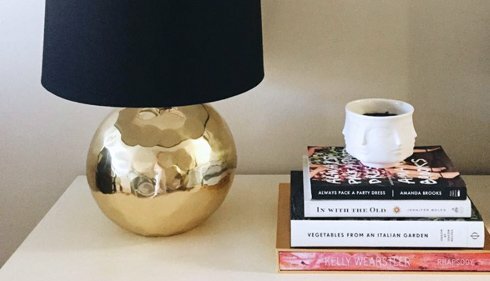 If you’re as big a fan of Amy’s work as I am, I definitely suggest following along on Instagram where she shares peeks of her work (and her adorable kiddos!). Very talented and simple(designs pop out in A classy way)!